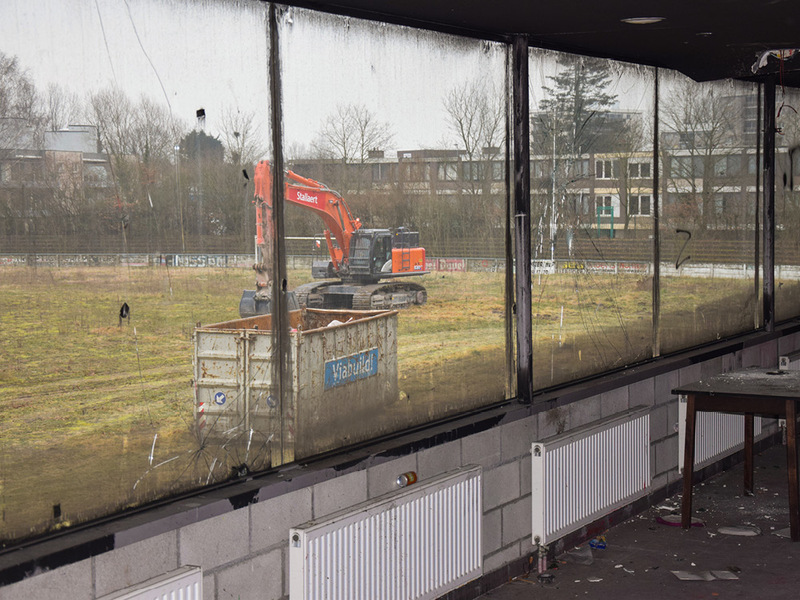 The old football stadium in Willebroek will be replaced by a site entirely dedicated to young people and sports. The municipality of Willebroek is building a brand new playground, a new sports centre, an out-of-school childcare centre, a youth centre and more. Viabuild has been commissioned to carry out the demolition and earthworks. 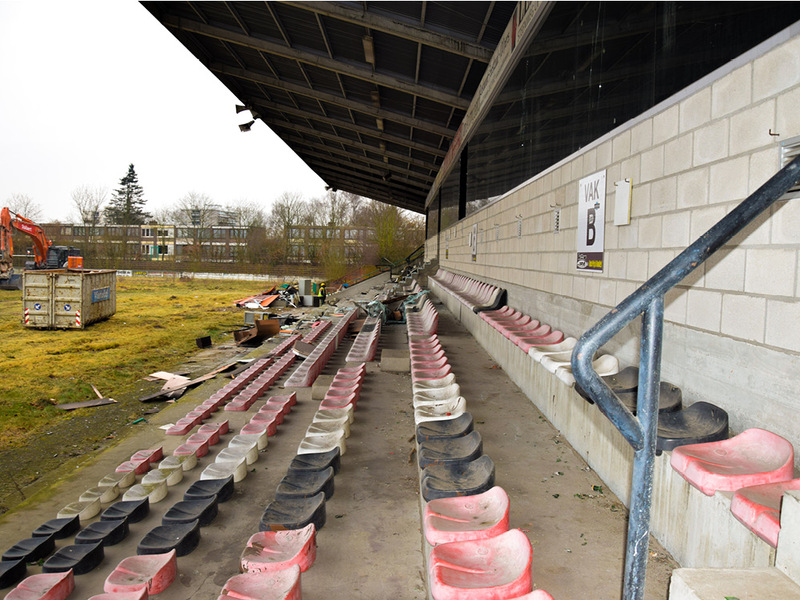 During the first phase, the stadium stands and dressing rooms were dismantled. 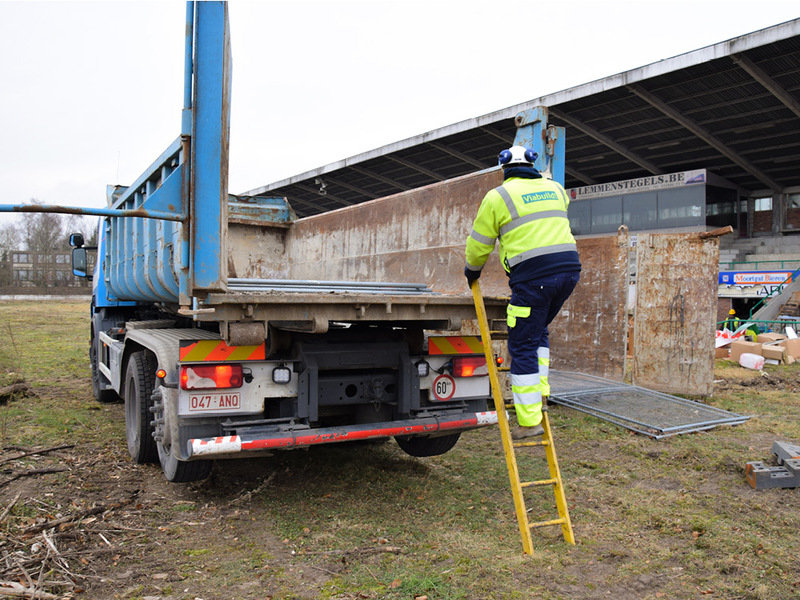 The rubble was transported to Viabuild’s processing plant in Willebroek. 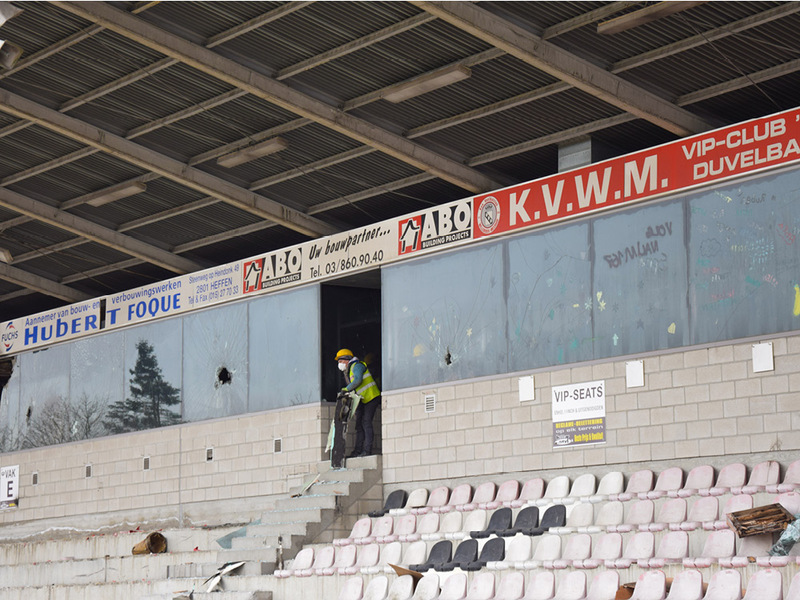 This was followed by the actual dismantling and demolition work. The soil was excavated and the ground was levelled and filled with topsoil. Lastly, the new lawn was sown. The experienced Viabuild team harnessed all its knowledge and resources to carry out the demolition work quickly, correctly and thoroughly. The work took a total of two months and was completed in time, enabling the children of Willebroek to fully enjoy the new playground during the summer holidays. The soil was excavated and the ground was levelled and filled with topsoil. Lastly, the new lawn was sown. The experienced Viabuild team harnessed all its knowledge and resources to carry out the demolition work quickly, correctly and thoroughly. The work took a total of two months and was completed in time, enabling the children of Willebroek to fully enjoy the new playground during the summer holidays.